Provide comfort for the family of Angelo Colacicco with a meaningful gesture of sympathy. 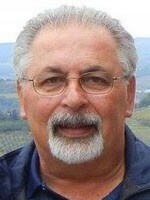 Angelo Salvatore Colacicco, 71, loving husband of Carol Colacicco, died on Wednesday, January 16, 2019 after a brief illness. Born in Hartford, Connecticut, he was the son of Hugo and Lydia (Attanasio) Colacicco. He had resided in Hartford and attended Bulkley High School and Prince Technical School. Angelo retired from Quality Manufacturing, previously worked at Victor Tool Co. and was a former co-owner of Billange Manufacturing. He was a proud veteran who served in the National Guard. His hobbies included woodworking, traveling, golfing, stock cars and modified racing. He was an avid sportsman. Besides his loving wife, he is survived by his daughter, Jennifer and her husband Richard Ritchie; his son, Steve and his wife Stephanie Colacicco; his six beloved grandchildren, Megan, Richard, Derek, Cassidy, Riley and Monroe, all of whom he dearly loved and followed with pride their schooling, sports and accomplishments; his sister, Mary and her husband Anthony Messina; his brother, Joseph and his wife Millie Colacicco; his brother-in-law and his wife, Ronald and Lana Stanchick; and his niece, Kara Messina. He was predeceased by his nephew, Erik Stanchick. Family and friends are invited to attend a Celebration of Life service to be held on Tuesday, January 22, 2019 at 6:30 p.m. at the John J. Ferry & Sons Funeral Home, 88 East Main St., Meriden, CT 06450. Burial will be private. Family and friends may call at the funeral home prior to the service from 4 to 6:30 p.m. In lieu of flowers, contributions in Angelo’s memory may be made to Gaylord Specialty Healthcare, 50 Gaylord Farm Road, P.O. Box 400, Wallingford, CT 06492. For online condolences, please visit jferryfh.com. To plant a memorial tree in honor of Angelo Salvatore Colacicco, please visit our Heartfelt Sympathies Store.